Discover Mad Wave's SHARK Fitness Goggles featuring a comfortable and secure fit, delivered by their automatic strap adjustment system and innovative wide-angle lenses. The goggles feature advanced Anti-Fog Ultra protection, which will eliminate the need to use any additional gel or spray and enhanced UV 400 coating to protect your eyes from the sun. 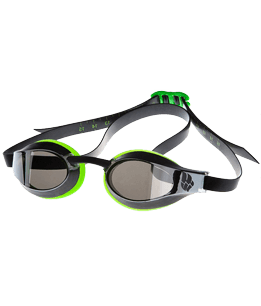 The Mad Wave's STALKER JUNIOR Goggles have low-profile design providing you with advanced hydrodynamic properties. Also the model has adoptable nose bridge for more precise adjustment. Get the most of your training with Mad Wave's PREDATOR Goggles! The model features an ergonomic seal and adjustable ultra-soft nose bridge delivering superior comfort and accurate fit. Comes with anti-fog coating and UV 400 protection.